Most of the supplies I used for this project are linked in the link-up tool at the bottom of this post. Theses giraffes are SO sweet and funny! I created a Polaroid frame using the Square STAX Die-namics and a trimmer. The background was stamped with leaves from the newest Exquisite Ocean set using Sour Apple and Jellybean Green dye inks. Gorgeous background and I love how you placed the giraffes inside your Polaroid frame! Cute card, Francine! Love your Polaroid picture look. Very cute card. Great demonstration of giraffe height by putting framing them with leaves! 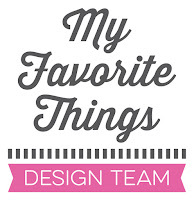 I love your layout... very clever! Love the giraffes in the polaroid frame. The frame makes a perfect spot for the sentiment because it's the focal point. Love this look! Cute card, Francine! Thanks for the inspiration. The very first thing that came to my mind when I looked at your card was "precious!" What an adorable layout. 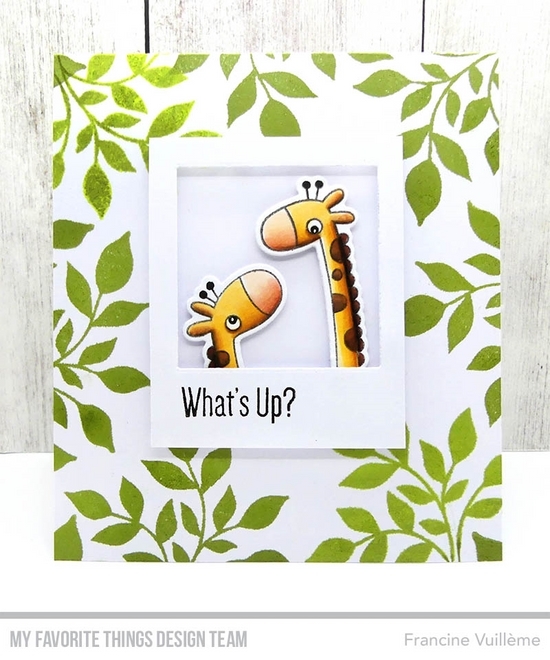 I love it that you used the leafy background and the photo snap of the giraffes. Adorable. What a sweet picture. Great idea putting it in a Polaroid frame. lovely card, I love the background!